The Atria opened its doors in 1980 as an Italian restaurant by owner Art Iezzi. He named the restaurant from the city he originated from off the coast of the Adriatic Sea; Atria, Italy. He wanted to create a place where people could go to enjoy great food, as well as have a great time after dinner. Listening to live music from the Atria’s own piano bar was a popular activity in the early 80’s. In the 90′s, The Atria became more of a live entertainment venue, hosting different bands and performers from all over Canada. It also became a popular local venue for local clientele to come relax, feel welcome and enjoy their time with friends and family. 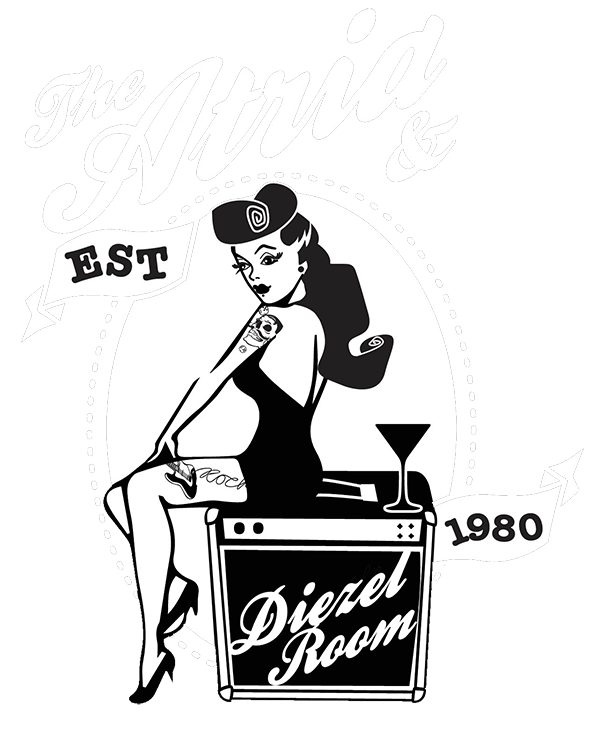 In the mid 90′s, Art Iezzi’s son Dino took over The Atria. He opened up The Diezel Room in 1999, mostly a dance club in the earlier parts of the new millennium. It now houses live entertainment for our customers. The Atria sure has changed over the last 30 years, and is constantly adapting to serve the wants of its customers. Our focus is always to provide great food, great service & great live music of all genres.